Activists in New York and Hong Kong organize protests to show solidarity with the whistleblower. Immediately following the announcement that the source behind The Guardian’s NSA spying revelations is Edward Snowden, a 29-year-old NSA contractor, protesters around the world rallied to show support for the whistleblower. It’s saturating the media right now, but history has shown that when these whistleblowers come forward—whether it be Daniel Ellsberg or it be Bradley Manning—within a short period of time, there are attempts to malign the individual or co-opt the narrative or try to demonize that individual for what they did. Edward Snowden put aside a $200,000/year career, a house in Hawaii and left his loved one to go on the lam to show people the truth, which was that our government was spying on us without warrants under the auspices of the war on terror. And in doing so they violated our Fourth Amendment rights. In Hong Kong, up to 1,000 Snowden supporters are expected to stage a protest to call on the government to protect him. The AFP reports that the group, including lawmakers, will march first to the US consulate and then government headquarters to urge the administration of the semi-autonomous territory to not extradite Snowden. “We should protect him. We are calling on the HK government to defend freedom of speech,” Tom Grundy, a rally spokesman, said Wednesday. “We don’t know what law he may or may not have broken but if Beijing has a final say, they don’t have to extradite him if he is a political dissident,” he told AFP. Several lawmakers have agreed to take part in a discussion forum following the protest, including prominent pro-democracy politician Albert Ho, according to Grundy. 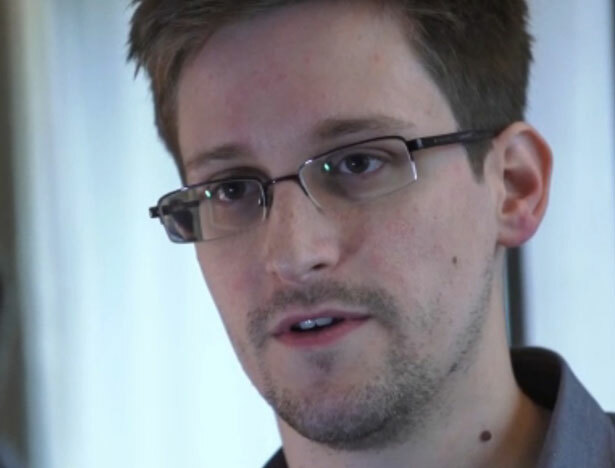 The online community has also rallied behind Snowden, organizing a White House petition demanding a presidential pardon that has already attracted more than 61,000 signatures, while a separate campaign was launched to help pay for Snowden’s expenses. Facebook employee Dwight Crow donated $1,000 of his own money to help Snowden with legal fees, hotel bills or flight costs. Facebook is one of the companies that has denied links to the NSA’s Prism program. Obsession over Snowden’s personal life highlights a major flaw of the establishment media: the tendency to fixate on minute details while completely missing the big picture, namely the US government’s vast spying program. While the media speculates about Snowden’s motives and allegiances and salary and pontificates about his dancer girlfriend and if she’s feeling lonely, Snowden’s supporters seem to grasp that this story is about something bigger. “Anyone who uses the internet and expects some privacy should be concerned about what was said in [Snowden’s] interview, so I imagine we will get a good turnout,” said Grundy. The Senate just passed a farm bill that contains massive cuts to the Supplemental Nutrition Assistance Program. Read George Zornick’s analysis here.